In the "Old" days of film, you used to take your roll of film to the corner store, or send it off to be processed by mail. However you did it, the result was basically the same. 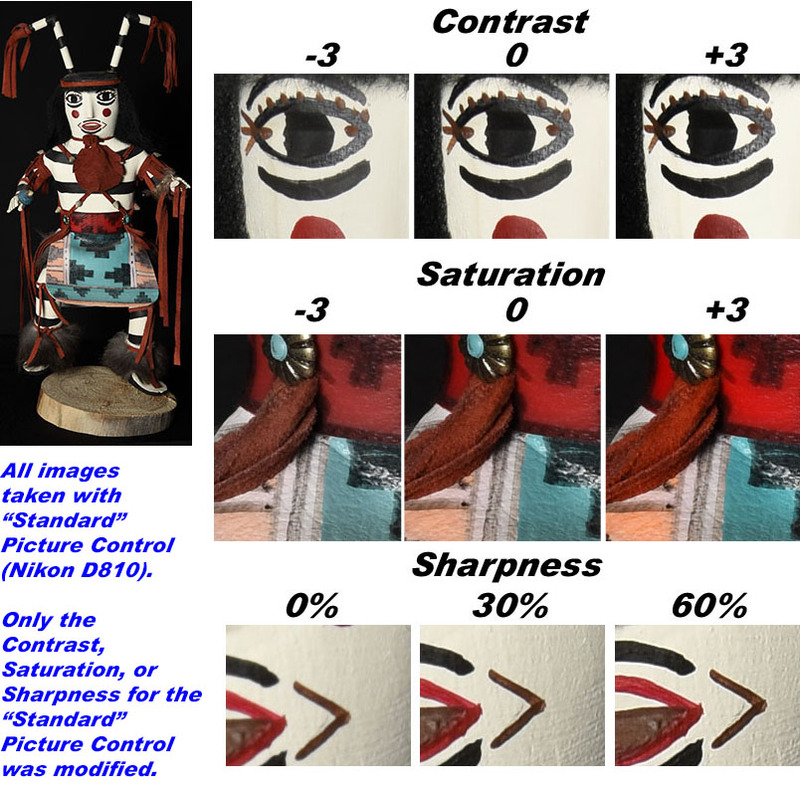 A computerized machine would analyze your negative and determine what the resulting picture should look like. It would "color-correct" the negative by adding or subtracting color. This was done with color filters: magenta, cyan and yellow. You would then get your picture back and, sometimes, just sometimes, it might look correct. The problem was, that the machine making the decisions about your image was just that - a machine. And machines don't have much creativity, and they certainly don't know what YOU saw! Fast-forward to today and we no longer have to put up with a machine making our decisions - or do we?? The sad answer is, "Yes" - we still have machines making our decisions - except now, that machine is in our camera. If you shoot JPEG, you are relying on the computer inside your camera to make the same decisions a machine used to make with your negatives. And, like the old machines, the new machines still don't know what you saw and how you want the image to look. "I paid a lot of money for my camera - it's smart enough to get these things right!" It would be nice if that were true. But the sad reality is, that the camera doesn't often get it right - unless you provide a little help. Nikon and Canon digital cameras have a feature called "Picture Styles" (Canon) or "Picture Control" (Nikon). 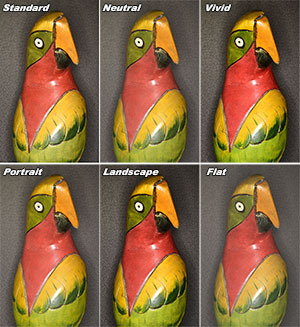 This feature lets you select a "preset" which has several parameters of how your image will be adjusted by the camera's computer. 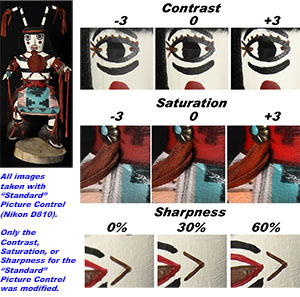 The "default" setting usually is often bad for "people" pictures, as it often over-saturates colors, making faces look "splotchy". Most digital cameras come with several pre-set settings. Before shooting, you should always check these settings to see if it is set the way you want it - for the kind of pictures you'll be taking. For example, when taking "people" pictures, you want relatively low contrast and saturation. This makes faces look much more natural. For landscape images, you want just the opposite - bright-vivid colors and contrast. Most professional photographers only shoot RAW images, as RAW images give you complete control over how your finished image looks. But professional wedding photographers usually shoot JPEGs. That's because they shoot so many images (it's not uncommon to shoot 600 images for each wedding), that it's impossible to edit each image. So, when they first get a new camera, they spend time experimenting, making sure that the JPEG Picture settings (Picture Styles or Picture Control) are set precisely the way they want them to be. This way, the JPEGs come out looking the way THEY want them to - not the way the camera "defaults" to. Auto ---- (Canon Only) This is the "default" setting. The camera tries to figure out what kind of picture you're taking. Sometimes it works; often it doesn't. Standard Standard Default This option provides a "balanced" approach - basically it makes your images look "average" (Canon) or vivid/sharp (Nikon). Neutral Neutral This option provides almost no adjustments - it's good if you plan on computer-editing your images. Portrait Portrait As the name implies, this option is good for portraits - it is designed to reproduce skin tones naturally, with lower contrast and shaprness. Landscape Landscape As the name implies, this option is good for landscapes - it is designed to reproduce vivid colors and strong contrast. a color temperature of 5200K, the color is adjusted to match the subject’s color. ---- Vivid (Nikon Only) Pictures are enhanced for a vivid, photoprint effect. Choose for photographs that emphasize primary colors. Mono Monochrome Pictures are taken with one color (monochrome). Some cameras allow the color to be black, sepia, cyan, etc. Some cameras also allow black-and-white filters to be used (yellow, orange, red or green). ---- Flat (Nikon Only) Pictures are taken with a wide dynamic range - more details in shadows and highlights. Pictures will be low-contrast. You can usually modify these preset settings, and many cameras also allow you to create your own custom settings. You should experiment with each setting on your camera and determine which is best for each type of photography that you do. Spend some time figuring out what works best for you. If you take a lot of pictures of children playing, than take some "test" pictures, trying different settings with each image. You can then determine which images/settings you like best, and now you'll know which setting to use for that particular type of photography. Here are some examples how changing some of these settings can have an impact on your images. 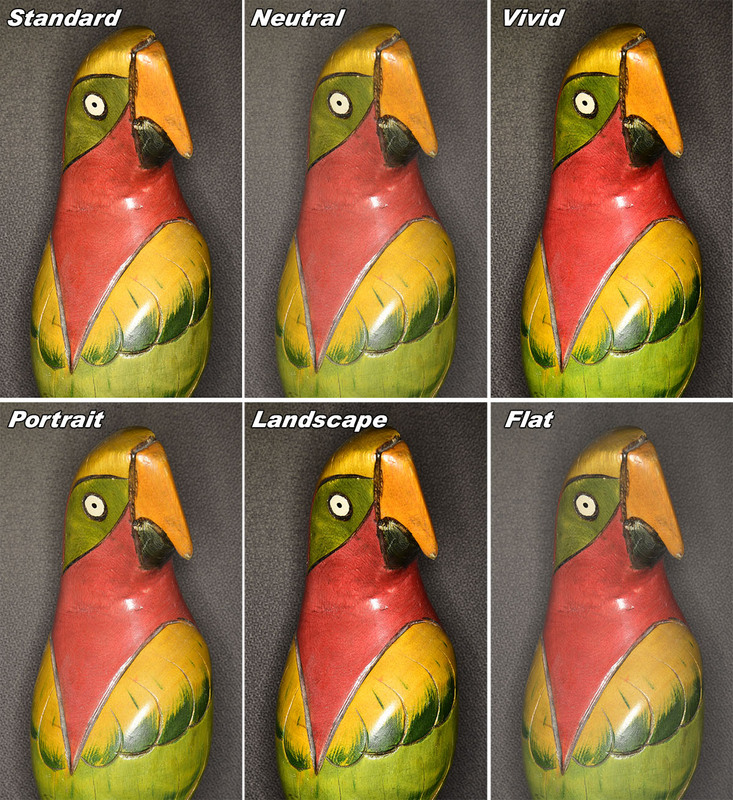 The group of 9 images at the right show a 100% crop from a small area from the image, showing how each attribute is affected. Be sure to click on the image below for a larger version. Here are some images showing the overall effect of each preset on my Nikon D810. Be sure to click on the image below for a larger version. If you change the picture style/control, just remember, that the setting remains in effect even after you shut your camera off. So, you have to remember to reset it each time you shoot. One of the very nice things about shooting RAW, is that you never have to worry about this setting (or white balance) - until AFTER you shoot during post-processing. Remember, you are in control - If your camera isn't taking the quality of images that you expect from it, chances are, there's something you can do about it!